I can only deplore the auto-backslapping of certain adventure writers that spend the last quarter of a book congratulating themselves on what a grand old tale they have told us. This pompousness kills half the suspense. 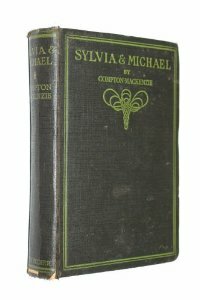 "Sylvia & Michael" being the fourth, if shortest, volume of Mackenzie's romantic adventures of Michael Fane and Sylvia Scarlett, I'm afraid smugness pervades the whole tome. Reminiscent of Kipling's "Kim" and Scott's "Heart of Midlothian" in this, and one other respect, the hero and heroine's fates are plotted against huge events that dwarf the sum of all the individuals involved. Sadly, when Mackenzie sat down to write "Youth's Encounter" (vol. 1 of "Sinister Street") he could have only an inkling that the final dénouement of his story would take place in the midst of what would become known as The Great War, and then the First World War. 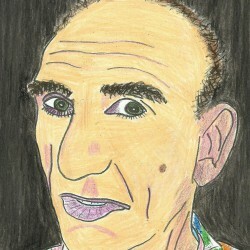 Yet drawing so heavily on his own experience of public school, Oxford university, the Anglo-Catholic branch of the Church of England, Music Hall Theatre and the seedier side of Edwardian London, it is little wonder he employs his wartime experience in the Balkans and Eastern Aegean to backdrop and populate the scene of Michael's epiphany. War, which breaks out while Sylvia is delerious with typhoid in Russia, puts people into uniform; which as Mackenzie tell us on the title page, makes every one look alike; except for the women, I suppose? Notwithstanding this, he claims there are no 'portraits' in the book. Of characters, then, there is the usual mix of vamps and scamps: the good, the bad and the very bad. Concetta makes a reappearance, persued by the evil juggler Zozo. Her fate is still as unfortunate as before and mirrors Lily, of whom there is no more news. There is a friendly Bulgarian bandit, an English Petroleum baron and an accomodating priest. All stereotypes must have their origin in the real world and, rather despite his claim, I imagine Compton Mackenzie was one of those people you would be wary of meeting lest he put you into one of his books. Though a good deal of action goes on in the background, as it were, most of these adventures are of the soul. We have the predicatable dose of Catholicism - Roman, this time - intruding, somewhat incongruously into Sylvia's story. Not that her reversion to the mother church isn't sufficiently explained away, exhaustively in fact. It's just that I object to a story-teller using his own particular convictions as material in this way. Much better, I thought, was Mackenzie's account (in "Galippolli Memories") of his time on the shrapnel raked beaches of Turkey, when he felt in the hands of God and strangely at peace with his fate. In "Sylvia and Michael" we are asked to believe the couple witness some pretty awful atrocities - the ethnic cleansing of modern parlance - without feeling much more than their own good fortune. Still, I suppose, there may be a deal of the writer's experience talking there. I hope I never live to see for myself what war really is. Going back to the other point about Kipling and Scott, if I may, there is an English smugness here, an imperious view. All the Serbs, Romanians, Bulgars, Russians, Greeks and what have you appear as so much flotsam on their own shores. There is a pervasive class snobbery, too; and despite the boyish character of liberated Sylvia, sexism. Wherever the plot roams, there is always a common cockney girl, whether pay-to-dancer or guesthouse proprietress, who is salt-of-the-earth. I wonder at Mackenzie's Englishness. At one point in the book, he appears to criticise Erskine Childers' novel "Riddle of the Sands" for giving away secrets to the Bosch. That's rich! After the war, both of these distinguished writers turned to Celtic nationalism. The ending of a saga must come as a kind of anti-climax. So much has gone before, the dénouement can hardly be organic. We must leave the world the author has created with at least a tinge of regret. And, perhaps, a slap on our own backs for having read so far.